What do you get when you combine a need for precise theological formulation, vicious persecution of believers, and a robust view of the sole right of God to run the universe? Article 13 of the Belgic Confession, sent to King Philip II in 1562 with an introductory letter in which the petitioners declare that they will 'offer their backs to stripes, their tongues to knives, their mouths to gags, and their whole bodies to the fire' before denying what they have confessed. without his orderly arrangement. . . .
and is beyond our ability to comprehend. without going beyond those limits. can fall to the ground without the will of our Father. without his permission and will. Letting the blog sit for a few weeks. See you next month. What's the Message of the Bible in One Sentence? That's what I recently asked a handful of thoughtful scholars and pastors. Answers below. Understand that I specifically asked these brothers to keep it to a single sentence (ahem . . . that's pushing it, Dr. Beale). There is inevitably much that is selectively omitted, so think twice before responding (or commenting) 'How could he not mention anything about ____?!' Little exercises like this are not a replacement of reading the Bible itself in all its contours or big books that trace out the Bible in detail, but a pointer to the Bible and to such books. In fact, it really is impossible to answer my question. How could you ask, for instance, what the Lord of the Rings is about in a single sentence? It can't be done. You must simply enter in and get swept up in the story. We can all resonate, therefore, with Hugenberger's valid response. Yet while we can agree to eschew simplistic reductionisms, this need not include an eschewing of synthetic summaries. We find such summaries in the Bible itself--psalms summarizing Israel's history, Jesus in Matt 22:40 or Luke 24:25-26, several speeches in Acts, and Paul in Gal 5:14 or 1 Cor 15:3-4 all come to mind. The point here is to refocus and recenter on the heart of the book that is the greatest earthly treasure to fallen human beings outside of God himself. The OT storyline appears best to be summarized as: the historical story of God who progressively reestablishes his new creational kingdom out of chaos over a sinful people by his word and Spirit through promise, covenant, and redemption, resulting in worldwide commission to the faithful to extend that new creation rule and resulting in judgment for the unfaithful (defeat and exile), all of which issues into his glory; the NT storyline can be summarized as: Jesus’ life of covenantal obedience, trials, judgmental death for sinners, and especially resurrection by the Spirit has launched the fulfillment of the eschatological already-and-not-yet promised new creation reign, bestowed by grace through faith and resulting in worldwide commission to the faithful to extend this new creation rule and resulting in judgment for the unfaithful, unto God’s glory. God was so covenantally committed to the world that he gave his one and only Son that whoever believes in him may have eternal life! God is in the process of recreating the universe which has been corrupted by sin and has made it possible for all those and only those who follow Jesus to be a part of the magnificent, eternal community that will result. The Bible tells how the loving Creator God restored a lost humanity and cosmos through reestablishing his rule through Jesus Christ and the provision of life to His honor. God has made promises to bring His people to Himself and He is fulfilling them all through Christ. A holy God sends his righteous Son to die for unrighteous sinners so we can be holy and live happily with God forever. Apprenticing with Jesus to become human again. God glorifies himself in the redemption of sinners. The Triune God is the beginning, middle, and end of everything, 'for from him (as Creator) and through him (as Sustainer and Redeemer) and to him (as Judge) are all things' (Rom 11:36). Jesus is the promised Savior-King. The movement in history from creation to new creation through the redemptive work of Father, Son, and Spirit who saves and changes corrupted people and places for his glory and their good. The message of the Bible in one sentence is that genuine truth, unlike every human philosophy, is far too luxuriant, too enthralling, too personal, too all-encompassing, too sovereign, and too life-changing to be reducible to one sentence (or, as Einstein once put it, the challenge is to 'make everything as simple as possible, but not simpler'). God is redeeming his creation by bringing it under the lordship of Jesus Christ. 'God so loved the world that the gave his one and only Son that whosoever believes in him should not perish but have eternal life' (John 3:16). God, who made us and everything else, loves us and gave himself for us that we might live forever with him as new creatures in a new creation—the news is good! The message of the Bible is the transforming grace of God displayed preeminently in Jesus Christ. The Lover of our souls won't let the romance die, but is rekindling it forever. God created mankind in order to love them, but we all rejected his love, so God sent His Son to bear our sins on the cross in order that by believing in His sacrificial atonement, we might have life. The Bible is the record of God's promise of and deliverance through Jesus Christ. The message of the Bible is twofold: to show how people can be saved from their sins through faith in Christ's atonement AND how to live all of life as a follower of God. God reigns over all things for his glory, but we will only enjoy his saving reign in the new heavens and the new earth if we repent and believe in the gospel of Jesus Christ, who is the crucified and risen Lord and who gave himself on the cross for our salvation. The first sentence that comes to mind is that of my colleague Michael D. Williams, who describes the Bible's story about the world as follows: God made it, we broke it, Jesus fixes it! The main message of the Bible is that the one true God is displaying his glory primarily in redeeming and restoring his fallen creation by fulfilling his covenant promises and commands through the glorious person and atoning work of Christ. Scripture tells us the story of how a Garden is transformed into a Garden City, but only after a dragon had turned that Garden into a howling wilderness, a haunt of owls and jackals, which lasted until an appointed warrior came to slay the dragon, giving up his life in the process, but with his blood effecting the transformation of the wilderness into the Garden City. He—God in Christ—shall reign forever and ever; so today if you hear his voice, do not harden your heart but believing the good news take up your cross and follow Jesus. Very helpful, brothers! Thank you. My response would be something like: Despite ongoing rebellion on our part, the holy God of the universe refuses to leave us to wallow in our sin, eventually and climactically becoming one of us, in the moral mud, to restore us to glory, if we will receive his love in trusting contrition. I asked a slightly different group of wise brothers last fall a different question. Helped and rebuked by this brief clip from our brother Winston Smith out at CCEF. Does this fit into your present understanding of the gospel? Let's keep Bible-izing our theology. A book we can all give thanks to God for. By 'we' I mean evangelicals who love being evangelicals for theological and ecclesial (not political or sociological) reasons--centrally because to be an evangelical is to be a gospel person--and who have no desire to see evangelicals or evangelicalism go the way of the 1990s Chicago Bears. The lineup of men who served in this volume could not be improved upon. Outstanding. Join me in making it one of the books you read slowly and reflectively in 2011. Leaving other things aside, he cultivated, and realised in practice, the blissful communion with God of which he wrote; a traveller on earth who grasped God like one in heaven. . . .
A scribe instructed in every way for the kingdom of God, this pure lamp of gospel truth shone forth on many in private, on more from the pulpit, and on all in his printed works, pointing everyone to the same goal. And in this shining forth he gradually, as he and others recognized, squandered his strength till it was gone. His holy soul, longing to enjoy God more, left the shattered ruins of his once-handsome body, full of permanent weaknesses, attacked by frequent diseases, worn out most of all by hard work, and no longer a fit instrument for serving God, on a day rendered dreadful for many by earthly powers but now made happy for him through the power of God, August 25, 1683. He was 67. I post this song for two reasons. Two, the Church of Jesus Christ is meant, among other things, to be the one place in the world where the longings expressed in this song--to unburden our hearts, to lay down the frantic face-saving--can be experienced. The Christian life is pretty simple. To love Him and be loved by Him. Many Christians have an idea that God decided to send Jesus to earth only after his first plan had failed; his original idea (Plan A) was to give people an opportunity to become his people by obeying his law. But they failed, so he scratched his head and came up with another idea (Plan B): to save people by grace through the death of Jesus. Nothing could be further from the truth. God had always planned to send Jesus. The whole Bible points forward to him and promises his coming in the future. In the Old Testament God points forward to him and promises his coming in the future. In the New Testament God proclaims him to be the one who fulfills all those promises. Christian living must be founded upon self-abhorrence and self-distrust because of indwelling sin's presence and power. Self-confidence and self-satisfaction argue self-ignorance. The only healthy Christian is the humble, broken-hearted Christian. It is after he sees God, is made whole again, regains his sanity, and has his complaining heart drained of its incessant bickerings, that Job says: 'I despise myself, and repent in dust and ashes' (Job 42:6). That is the healthiness where Job ends; it is not an un-healthiness that Job needs to be cured of. Can anyone out there even come close to touching this parking job by my wife? Life is war. Life is striving for something and against its opposites. For morning came, morning and a wind from the sea; and darkness was removed, and the hosts of Mordor wailed, and terror took them, and they fled, and died, and the hoofs of wrath rode over them. And then all the host of Rohan burst into song, and they sang as they slew, for the joy of battle was on them, and the sound of their singing was fair and terrible. Some of us might have difficulty with that. But our warfare as a church is not political. We are not fighting the culture war. Our struggle is against the oppression that many people don’t even feel until they wake up in hell. We are not fighting against people. We are fighting against the God-dishonoring and self-injuring things that people are living for. The real battle of our times--and let’s make sure we are on the right side--the real battle of our times is not between us and anybody else but between Christ and religion. That battle is subtle but real. We feel it in the form of silent pressure to keep quiet about Jesus or, even if we do use Jesus-talk, just to fit him into the convenient margins of the status quo. But he must never become the commanding presence at the center of our lives. That is the pressure against us and against him. We must rebel, and rebel happily. I'm working through the new commentary on Romans by Frank Matera in the Paideia series and enjoying it very much. Matera is a Roman Catholic who teaches at the Catholic University of America, and at times he takes a New Perspective-ish slant on things which I think trivializes what Paul is saying (pretty sure Frank won't be getting an email from Don Carson to join the Gospel Coalition any time soon). But this commentary is really excellent. Clear. Clear, clear, clear. And refuses to sacrifice the theological on the altar of the historical (O blessed breath of fresh theological air). As a taste, I found this introduction to theological issues in Romans very satisfying. Although Romans is an 'occasional letter,' inasmuch as [sic] it was occasioned by the circumstances of Paul and the Romans, it remains a profoundly theological document that deals with issues central to humanity's relationship with God. 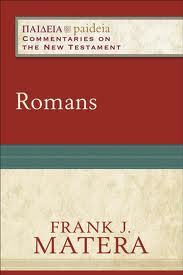 This is not to say that Romans is a theological essay or a systematic compendium of Paul's theology. But it is a religious document composed by a man who has reflected deeply on the significance of the saving justice that God manifested in Christ. In doing so, Paul presents us with a series of insights that are foundational for the Christian understanding of the human person (anthropology), God's redemptive work in Christ (Christology and soteriology), the new community of believers whom God has called and sanctified in Jesus Christ (ecclesiology), the new life that believers live in and through the power of God's Spirit (ethics), and the hope of this sanctified community (eschatology). In effect, Romans provides us with the outline of a redemptive story that encompasses humanity's predicament prior to Christ, its redemption in Christ, and its hope for the final salvation and glorification it will enjoy when it participates in the glory that the risen Christ already enjoys. Amazing how many biblical scholars' middle names begin with j. Thanks for this good contribution, Professor Matera! Really enjoyed this interview with Bruce Winter. Instructive and edifying. Fascinating insights into a couple of Pauline texts, and also a needed reminder (for me anyway) of the radical difference between cross-informed leadership and world-informed leadership. John 13! Bruce is former warden of Tyndale House in Cambridge, England, and the current leader--er, principal--of Queensland Theological College in Australia. Thanks for doing these, Mark Dever. How Were Old Testament Believers Saved? The Old Testament is . . . to be viewed as one in essence and substance with the New Testament. For though God communicates his revelation successively and historically and makes it progressively richer and fuller, and humankind therefore advances in the knowledge, possession, and enjoyment of creation, God is and remains the same. The sun only gradually illumines the earth, but itself remains the same, morning and evening, during the day and night. Although Christ completed his work on earth only in the midst of history and although the Holy Spirit was not poured out till the day of Pentecost, God nevertheless was able, already in the days of the Old Testament, to fully distribute the benefits to be acquired and applied by the Son and the Spirit. Old Testament believers were saved in no other way than we. There is one faith, one Mediator, one way of salvation, and one covenant of grace. If your knowledge of the Scriptures and of the doctrines of the gospel of the Lord Jesus Christ has not brought you to this knowledge of the love of Christ, you should be profoundly dissatisfied and disturbed. All biblical doctrine is about this blessed Person; and there is no greater snare in the Christian life than to forget the Person Himself and to live simply on truths concerning Him. . . .
We should never study the Bible or anything concerning biblical truth without realizing that we are in His presence, and that it is truth about Him. And it should always be done in an atmosphere of worship. Biblical truth is not one subject among others; it is not something that belongs to a syllabus. It is living truth about a living Person. That is why a theological college should be different from every other kind of college; and that is why a religious service is essentially different from every kind of meeting the world can organize. In 1533 Calvin was studying in Paris when he found himself forming a friendship with Nicholas Cop, fellow reformer-to-be and rector of the University at Paris. Late that year Cop preached a sermon that boldly revealed his own convictions and growing dissatisfaction with Roman doctrine and ecclesiology. 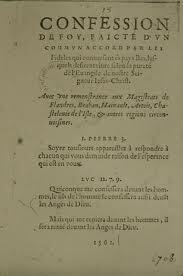 Calvin, it is thought, collaborated with him in the writing of it. Immediately after the sermon Cop and Calvin were forced to flee Paris. Why then do we conceal the truth rather than speak it out boldly? Is it right to please men rather than God, to fear those who can destroy the body but not the soul? O the ingratitude of mankind, which will not bear the slightest affliction in the name of him who died for the sins of all, him whose blood has freed us from eternal death and the shackles of Satan! The world and the wicked are wont to label as heretics, imposters, seducers and evil-speakers those who strive purely and sincerely to penetrate the minds of believers with the Gospel. . . . But happy and blessed are they who endure all this with composure, giving thanks to God in the midst of affliction and bravely bearing calamities. . . .
Onward, then, oh Christian men. With our every muscle let us strive to attain this great bliss. Am I Morally Culpable if My Body Makes Me Sin? Seasoned wisdom from our brother Ed Welch. But if Dr Warfield was great in intellectuality, he was just as great in goodness. Over a long period of years this man stands out in my mind as the most Christ-like man that I have ever known. In spite of his brilliance of mind, there was no spirit of superciliousness, no purpose to offend the dullest pupil, no haughtiness of heart. With him there was never any sign of pretense, or false front; for there was no spirit of hypocrisy in his inner heart. Rather there was always the spirit of humility and meekness and the spirit of kindness and gentleness toward others. Thoroughly enjoying this outstanding work on an important man about whom I have been completely ignorant. Thank you, Fred! It is a real gift. Many of us have been exposed to Bavinck for the first time in any significant way this past decade, with the translation (an excellent one) of his Reformed Dogmatics into English. Rich, wise, Bible-saturated, philosophically aware, reverent, courageous--it makes one want to know more about this man who wrote the systematic theology Henri Blocher calls the best in the Reformed tradition since Calvin. Ron Gleason has come through for us. Ron spent many years in Holland, giving him facility with Dutch and a front-row knowledge of Dutch culture and history. This included studying at the university where both Kuyper and Bavinck taught a century ago. 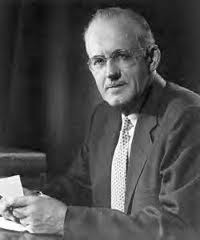 He did a PhD at Westminster (East), finishing in 2001 and writing a dissertation on Bavinck, arguing that the notion of union with Christ is the centerpoint of Bavinck's theology. Today Ron pastors here. It is a good biography. I know neither the Dutch language nor the Dutch culture and history like Ron does, so any kind of review is a bit like me critiquing Lebron's dunks when I can't even touch the rim. But some might be pondering whether they should invest the money and (more importantly) the time into reading this biography, so perhaps a few thoughts would be useful. 1. I find that Christian biography of people who have made an unusual difference in the world is almost invariably encouraging. Yes, it can be paralyzing or threatening, I suppose, to read about the giants of the faith, but far more pervasive in reading Christian biography is the encouragement of seeing, in specific historical circumstances, how God used a frail man or woman to accomplish great things. This biography was no exception. 2. 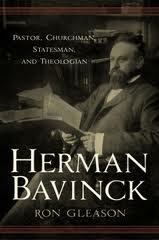 There's hardly a better man to write the book--someone who did a PhD on Bavinck, who is serving in the local church and thus immersed in the realities of life in a fallen world, who has a deep conviction about the Lord's providence in all things (this came through often in the book), and, most of all, who knows Herman Bavinck the way you know your own signature. 3. Ron does an outstanding job tracing Bavinck's career as a churchman and politician (American readers should understand how intertwined the two often were in nineteenth century Holland). Bavinck's involvement in seeking to unify the two Reformed separatist movements is an interesting story, well told. Perhaps the greatest strength of the book is fleshing out the ecclesial world in which Bavinck was immersed throughout his life. 4. Readers wanting to learn about Bavinck's personal life and theology will need to look elsewhere. No biography can do everything, and we are much the richer for having this account of ecclesial, academic, and political events surrounding Bavinck's life. Yet one wishes the book had painted a bit more of a portrait of the man himself, his family (the brief comments on his daughter and wife on pp. 416-17, 426, respectively, cry out for elaboration), and his theology (one finds occasional forays into Bavinck's interaction with Kuyper's supralapsarianism and the related notion of eternal justification, but not much more). 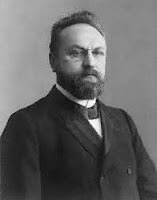 Yet for what I learned of Bavinck's life in other ways, I am enriched and grateful. And it could be that there simply is not much to be found, historiographically, on his personal and family life. 5. The book errs a bit on the side of hagiography. Ron speaks extensively and repeatedly on the errors of Kuyper and some of the other men with whom Bavinck worked, but Bavinck seems to receive special treatment. Perhaps he truly was in a category of his own when it comes to personal integrity and relational wisdom and the exercise of love. I think to some extent this is likely true. Yet more needs to be candidly said of Bavinck's weaknesses. Yes, Ron does affirm that Bavinck had 'feet of clay' (pp. 125, 223), and there is an extended section on Bavinck's error in going ahead too fast with his 1899 proposal to unite the churches. But the former is not explained, and the latter receives mere puzzlement from the author. 6. Regarding style, the book moves along fairly well, footnotes are kept to a minimum, Dutch words and phrases are used judiciously, and the book (mercifully) is not written to impress but to illumine. Yet there are some annoying stylistic idiosyncrasies (such as a penchant for using 'vis-a-vis' to a distracting degree), is frequently overdramatic in a way that feels forced, and is stilted and at times confusing in terms of flow (e.g., ch. 7 is entitled 'A Tear in a Laugh' yet this phrase is not explained until ch. 14). Overall, the book is not elegantly written (as, e.g., Fred Zaspel's recent theology of Warfield is), and one wishes an editor had improved the style and ensured that the content flowed well. Summary: While there are weaknesses in content and tone, the overriding feeling in closing the book is one of immense gratitude for this work. This was a significant labor and we in the English-speaking world are greatly enriched by our brother Ron Gleason's fruitful labors. I hope this is not the last that Gleason teaches us about this theologian he knows so well. 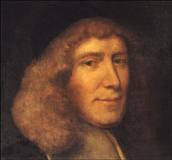 Did You Know This About John Owen? He entered Queen's College, Oxford, at the age of twelve, and took his MA in 1635. 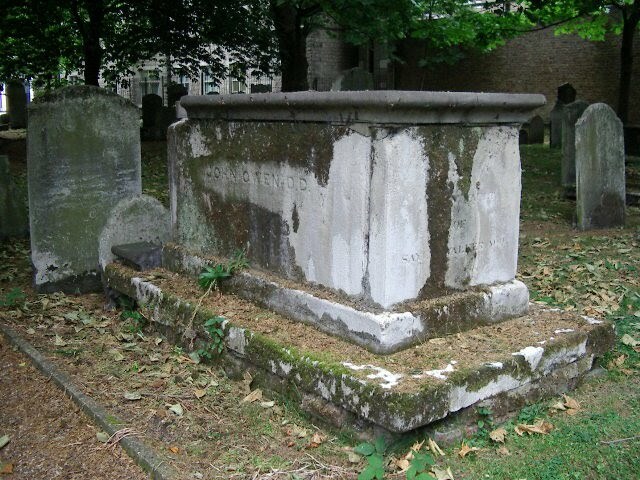 He studied ferociously hard, driven forward by his ambitions after political or ecclesiastical eminence; but, though a churchman, he was not yet a Christian in the true sense. In his early twenties, however, God showed him his sins, and the torment of conviction threw him into such a turmoil that for three months he avoided the company of others and, when addressed, could scarcely utter a coherent sentence. Slowly he learned to trust Christ, and so found peace. The verb used here for 'fear' very often in the psalms means something close to 'trust.' Yield to, bank on, submit to, count on, revere, bow before. And here David asks the Lord to enable him to fear him, but the way he asks God to get him there is interesting. David asks the Lord to 'unite' (the verb form of the Hebrew word 'one') his heart. The great insight of this verse is that a fallen human heart is a divided human heart. David feared/trusted God. But that was one impulse in his soul among many. He wanted a united heart. A whole heart. A heart not frenetically pulled in all kinds of directions fueled by an army of anxieties. A heart that wakes in the middle of the night and soothes its festering worries with this thought: God is my portion--period. A heart in which many valid goals and desires of various kinds are cultivated, but all of which funnel down into the supreme goal to fear God, to quietly bow before him in reverence and worship, to plant all one's hopes squarely on him. When Jesus came into our midst and presented Himself as the Messiah, His greatest enemies were the entrenched religious leaders of Israel. Their spiritual principles were drawn not from above, but from below. They used all the tactics of unregenerate men, including bribes, to bring the witness of lies against Jesus. To defend God, they acted like the devil. To claim support from the Scriptures, they defied its true teachings. In the name of a religion of love and mercy, they loosed the reins of blind hate. So fierce was their spirit--the spirit of this world that dominated them--that it never rested until they had put to death the Son of God. Now, we are evangelicals at a troubled time in history. We face a danger--the danger of taking for granted that because we are evangelicals in theology and creed, we are automatically pleasing in the sight of God. Is it possible that our conservative theology is really a kind of nibbling of God's sweet and precious Word? Do we never allow it to become anything more than the creed and doctrines we say we believe? [A]t the ascension, in which he made all angels, authorities, and powers subject to himself (Eph 4:8; 1 Pet 3:22), he fully received the Holy Spirit along with all his gifts. Ascending on high, he took captivity captive, gave gifts to humans, and ascended far above all the heavens, so that he might fill all things (Eph 4:8-10).